For some reason, the world of rare books seems less appealing to film and TV producers than it does to crime or thriller writers. However, there are a handful of examples where rare or antiquarian books feature prominently on the small screen and in movies. Here are seven that immediately come to mind. 1) The Big Sleep (1946). Directed by Howard Hawks, starring Humphrey Bogart. 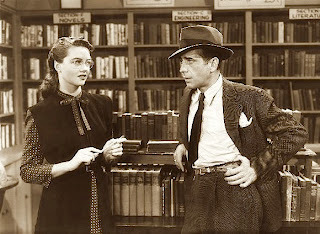 In the film Philip Marlowe enters Geiger’s rare bookstore and asks to see certain books with ‘points ‘. This is clearly a wind-up, as Marlowe rightly suspects that the store is a front for an illegal operation. Incidentally, what happened to this term, beloved of the rare book world in the twenties and thirties? It seems to have died out completely. 2) The Ninth Gate (1999). Written and directed by Roman Polanski, starring Johnny Depp. 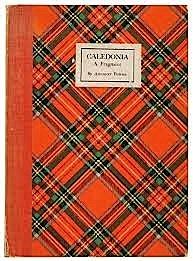 Probably the best known example of a film in which a rare book plays a central role. Depp is the bookseller who is asked by a client to authenticate his copy of The Ninth gate of the Kingdom of Shadows, a seventeenth century treatise on devil worship, of which only two other copies are known, one of which may have been written by Satan himself. The book in question is fictional, but is based on the Hypnerotomachia Poliphili (1499), whose woodcut illustrations are cryptic instructions. We are given glimpses of pages from the book, which looks little like any seventeenth century book that I’ve ever seen. Best thing in the film is the art direction, especially the higgeledy-piggledy interior of the bookshop. 3) Casting the Runes, BBC TV drama based on the short story by M. R. James. By far the most convincing TV drama involving rare books. A scholar wishes to borrow an exceedingly rare work from an ancient academic library, but finds that a mysterious stranger wants to do the same. The rest of the story shows why this book is so important to both men. James is a brilliant plotter and the spooky atmosphere of the library is wonderfully conveyed. 4) The Name of the Rose (1986).Directed by Jean-Jacques Arnaud from the novel by Umberto Eco. Stars Sean Connery, Christian Slater, and Ron Perlman. Visually a terrific film, thanks to brilliant art direction that includes a sublimely romantic landscape setting ( presumably somewhere in northern Italy or the Balkans) and a library whose shelves are crammed with incredibly ancient-looking tomes. The library, which looks as if it was designed by Escher from an idea by M. R. James, always reminds me of one of those amazing ancient European libraries featured in that excellent tome Great Libraries of the World. All the books look so scrumptious that the fire which breaks out must bring out archivists and rare book librarians in a cold sweat. The plot has holes. How is it that in the midst of an inferno Sean Connery is able to make such a rapid choice of which books to rescue? I also find it hard to believe that there exists a poison so virulent that a scintilla deposited in the mouth through page-turning could accumulate in the body without its taste (most poisons are very bitter) being noticed by the illuminators in the scriptorium. Most poisons of this potency need to be injected. 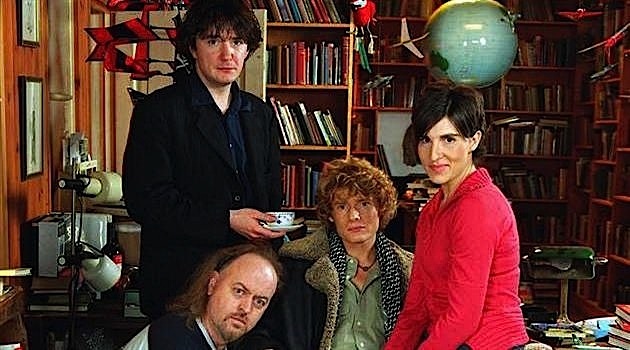 5) Black Books ( 2000-2004).Channel 4, starring Dylan Moran, Tamsin Grieg, and Bill Bailey. It must be the only British sitcom to be set in a second-hand bookshop. I don’t know how much background research the scriptwriters undertook, but they seem to have concocted a very believable owner from characteristics shared by a random selection of the most rebarbative book dealers in the UK, several of whom may have been those encountered by Driffield and myself. 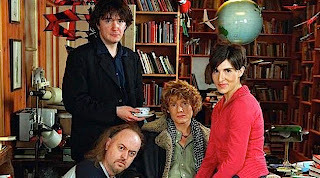 Bernard Black has a sharp and indeed withering wit, which most dealers don’t necessarily show to their customers, unless you count barely audible grunts as wit. Although the exterior shots use Collinge and Clark’s premises in Bloomsbury, rumour has it that some aspects of Bernard Black’s personality are based on various bookshop characters - Eric Barton, Thoreau Books, possibly Charing Cross Road shops. 6) Happy-go Lucky (2008). Directed by Mike Leigh, starring Sally Hawkins. One of the funnier scenes set in a bookshop sees the delicious Sally Hawkins gamely engaged in the thankless task of engaging a monosyllabic assistant in conversation, but failing miserably. Happily, being cheerfully disposed, the lovely Sally won’t give up her mission to cheer people up, although sadly she is doomed to failure. As far as I know only one episode of this popular TV series concerns the criminal activities of a rare book dealer, but I may be wrong. Clearly, the scriptwriter doesn’t want viewers to learn how little he knows about bookshops, book dealers or antiquarian books generally, because the workings of the book trade plays only a peripheral part in the screenplay. Many thanks Robin. Second hand books tend to turn more on TV - there was even a Lewis with a sort of occult bookshop run by the actor who used to play Trigger. Recently there was a slightly suspect man with a lawyer wife who sold second hand books on the internet and the copper (Vera?) seemed surprised that this was a viable business. Our own area Charing Cross Road features in the gay 60s noir Victim where a shop in Cecil Court is used for drop offs. Brilliant film with Dirk Bogarde. Some scenes in the cult Hanif Kureishi movie Sammy and Rosie Get Laid (Stephen Frears) were shot in our old Hammersmith shop.